The Valencia Junior Flyers (formerly the Valencia Express) is a volunteer, nonprofit youth hockey organization based in Santa Clarita, CA. The Flyers travel teams compete against other youth hockey clubs on a regional and national level. Their home rink is Ice Station Valencia. As a family friendly organization, the Flyers believe in promoting sportsmanship, integrity, and fun. Flyers management and coaching staff are committed to helping their players develop into competitive hockey players with a great love and respect for the game. Since the club's inception in 2001, the Junior Flyers have won international tournaments, such as the Can/AM Challenge in Montreal, QB, Canada and the Silver Sticks Tournament. 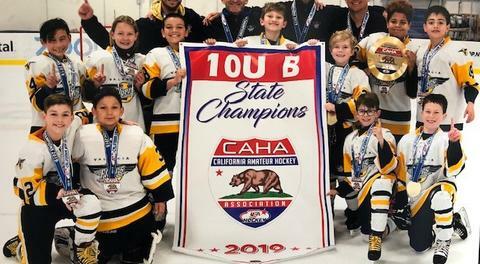 They have also collected 6 SCAHA Championships, 4 CAHA Championships, and a National Championship. Several former Junior Flyers players have gone on to play at the high school, prep school, college, amateur junior, and professional minor league level. 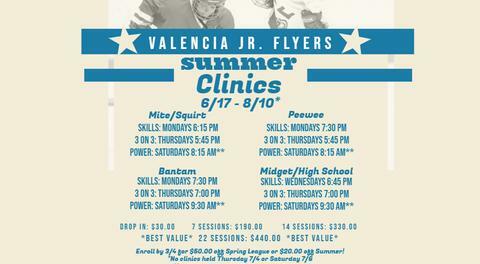 Whether you are reaching for personal development, high-school, college or professional hockey, the Valencia Junior Flyers Youth Hockey Club is proud to be a part of your hockey family! Welcome!